Our one-day-course in modular fly larva treatment is in high demand. After the first course opportunity in December 2017, the course was organized again on 14 March 2018, with eight participants from different Swedish companies and universities. In the morning Cecilia Lalander and Evgheni Ermolaev gave an in-depth introduction to the concept of a modular system developed at SLU and presented the possibilities on waste management with the black soldier fly larvae. Details on both the fly rearing and waste treatment modules were presented. In the afternoon, the course participants followed the research assistants to the greenhouse where the fly colony is lodged. 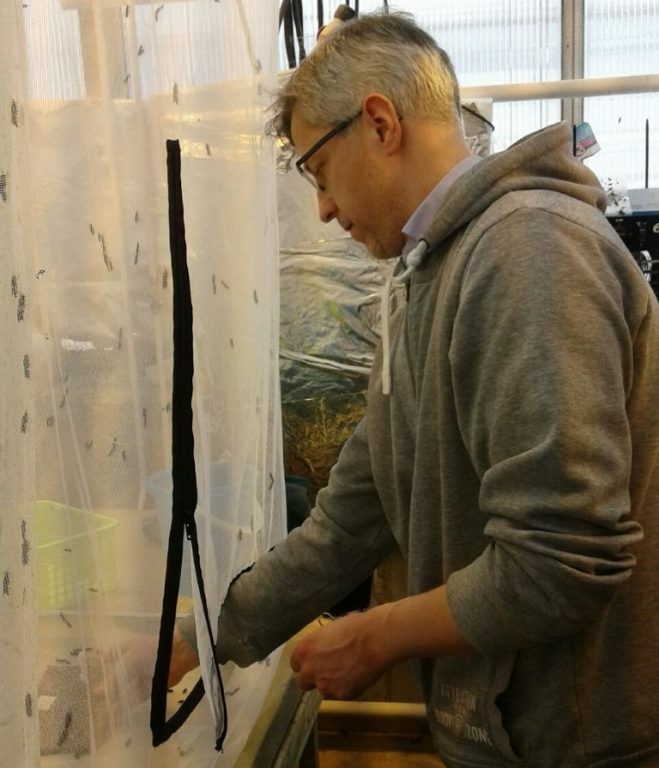 The participants gained hands-on experience with setting up the fly cages and larvae growth boxes, separating prepupa and also mastered the difficult task of counting mini-larvae! A big THANKS to all the course participants for their questions and their enthusiasm throughout the day!